I am not sure what I would do in a world without pizza. 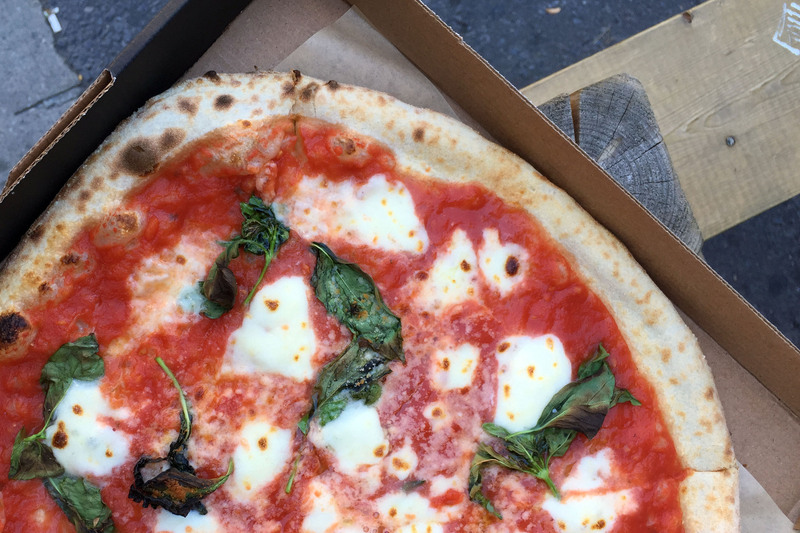 Toronto has lots of Italian (and mostly Italian) restaurants, but I’ve narrowed down the ones that do pizza particularly well. I’m not asking for much. All I want is a bit of well-prepared dough topped with fresh, high-quality ingredients, made by someone who gives a little bit of a damn about their work. Is that so much to ask? Stop eating crappy pizza, and save your calories for the good stuff, right here. Average price between $15-25 a person (for the pizza). Pizzeria Via Mercanti: Without a doubt, this is my favourite pizza establishment in town. Located in the heart of Kensington Market, it has a very laid back vibe and a lot of happy customers. The other location is almost as good (but not quite). Piano Piano: Victor Barry closed down Splendido and reopened as Piano Piano mostly because he wanted to make ridiculous pizzas. I can’t believe iceberg lettuce and mayonnaise (which can be found on the “Bodega”) actually works! Gusto 101: Provided that it’s not too busy that night, this is a great pizza you can enjoy in a fun, romantic King Street environment. Terroni: (and La Bettola di Terroni) These guys have a great history and really great food. Just don’t go if you require any kind of substitutions at all. Levetto: It’s a chain, but the Romano style pizzas here designed by Shahir Massoud are some of my favourites for an easy night in. The Chinatown location even has a Peking Duck pizza! Pizzeria Libretto: It’s a solid, solid, can’t-go-wrong establishment. Lil Baci Taverna: They’re a nice restaurant that knows what they’re doing. The funghi pizza is my favourite. See brunch also. Pizzeria Defina: This one’s kind of out of the core, but it’s got a great mix of flavours that keep it Italian but always a surprise. True True Pizza: They advertise as “deliciously different” and they are indeed good, but some Italians may have some issue with the style. Queen Margherita Pizza: I like them a lot. It’s just hard to keep up with their changing locations and constructions. North of Brooklyn: Not really as Italian in their vibe, but it’s a trendy spot that I should really visit on a bike sometime. Magia & Bevi: Eat and drink. Can’t deny that. Maker Pizza: I’m actually a little scared that this place will hit me with too much trendiness, but I’m willing to take the plunge.